If you need a plumber immediately, your local team at plumber Shankill can help. We provide a fast, professional complete range of plumbing services in Shankill and across the whole of Dublin. Our team are available 24/7-365 days a year to cover any plumbing emergency you may have. We offer a rapid response for all emergency situations. Call us any time of the day or night and you will get through to one of our senior plumbers. Firstly we try to assist over the phone. If you need a Shankill Plumber we can have one with you in under an hour. We won’t leave you stuck when you need us most. We have been trading for over 30 years now. We have the experience and know how to solve all plumbing issues. When you need an established company you can trust call your local plumbers in Shankill. Prior to employment all our staff are thoroughly checked including all references. We make sure they are all R.G.I. registered and fully qualified. This ensures they can provide a complete range of plumbing services to the standards we expect. Some of our master plumbers have over 30 years experience in the plumbing services industry. All of our team are fully covered by our public and professional indemnity insurance. Our team take pride in our outstanding customer service. They are honest, reliable and 100% focused on providing quality workmanship for all of our customers. Our Plumbers in Shankill supply all the following services in D18 and the surrounding area. • A 24 hour emergency Shankill plumber service. • Boiler servicing. Professional oil and gas boiler servicing by an R.G.I. engineer. • Central heating system installations and repairs. • Appliance installations. Including gas cookers and hobs. • Full bathroom refurbishment. We install toilets, sinks, showers and baths. • Drain Unblocking. We use Jet flush equipment, drain rods, plumbers snakes and C.C.T.V. Inspection. • Water pump repair and installation. At Plumber Shankill we take the utmost pride on operating our business as openly and transparently as possible. We pride ourselves in giving our clients the best possible price and plumbing services available. Our “up front pricing” policy means there will never be a shock when the bill arrives. We know our prices are very good. When we quote we stick to it. There are never hidden fees or charges added. Our honest approach has been the foundations upon which our excellent reputation has been built over the decades that we have been operating in Dublin. We will never charge for call outs. We are happy to give free unbiased advice and no obligation quotes. 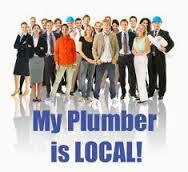 If you need a local plumber call us on 01-2844921 today.